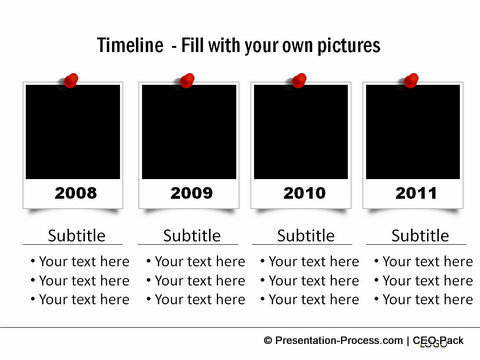 A PowerPoint timeline need not be boring. 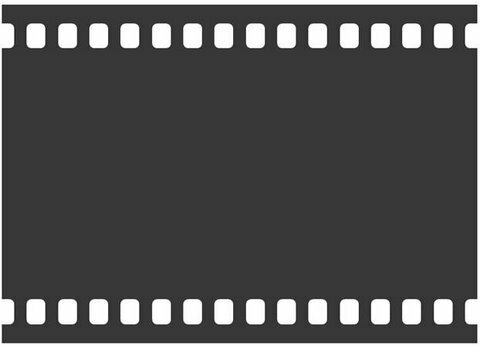 Follow our simple step by step instruction to create a cool Filmstrip timeline template in minutes. 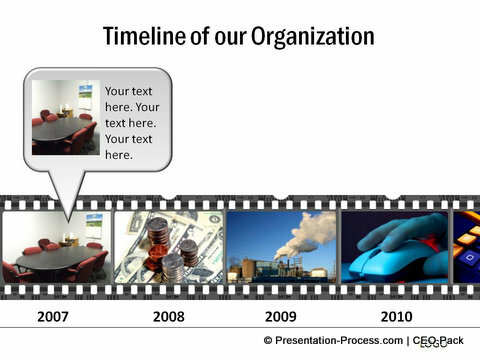 Why create Filmstrip PowerPoint Timeline Template? 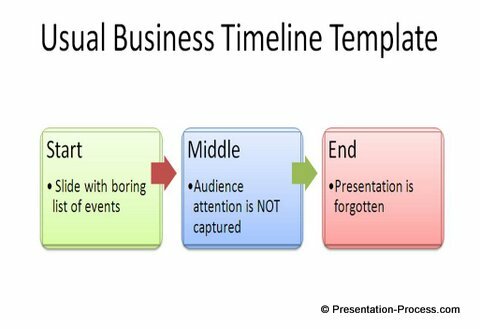 Most timelines in a business presentation are nothing more than a boring list of events presented as journal entry. 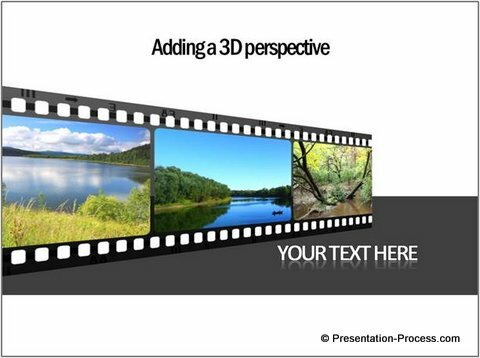 The format doesn’t capture the imagination of the audience and the presentation is soon forgotten. 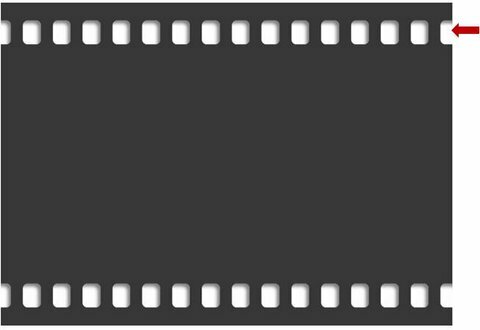 A useful alternative to boring bulleted list of events is presenting the timeline with relevant pictures. Since photos convey a story better than words, the message gets retained by the audience longer. 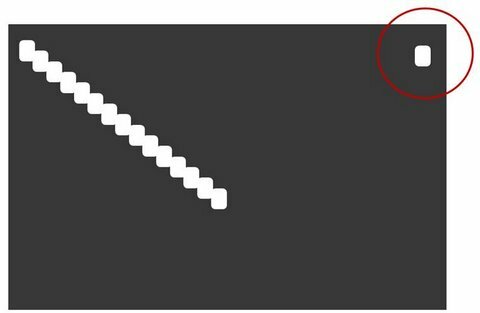 Using ‘Rounded rectangle’ tool in auto shapes menu, draw a small rounded rectangle, fill the shape with ‘White’ and remove the outline. Make copies of the shape and place them along the top and bottom edges of the rectangle. Select all the rounded rectangles in a line, Go to Arrange -> Align -> ‘Align top’ and ‘Distribute horizontally’. 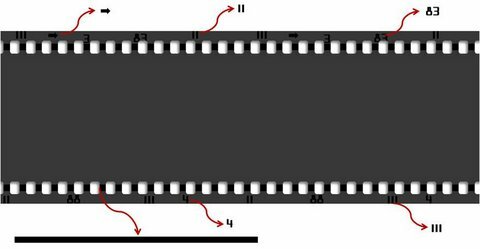 This will ensure that the perforations are spaced equally. Once done, select all the rounded rectangles; go to ‘Shape effects’ -> Shadow-> Inner -> Inner Diagonal Top Right. Make sure that you adjust the yellow handles of the shape to get just enough curvature in the corners. The variations you can create with the film template are limited only by your imagination. Creating good diagram templates takes a lot of time, creativity and PowerPoint expertise. 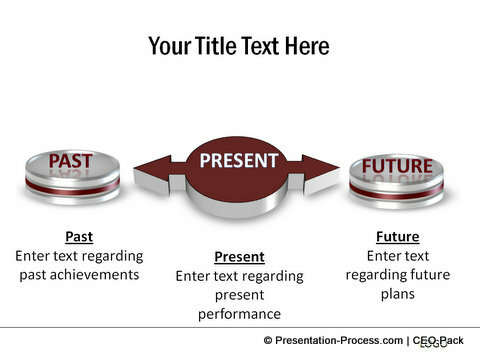 Most business presenters may not have the time to create such high quality diagrams from the scratch. That is why we came up with our ‘750 + PowerPoint Diagrams and Chart Templates Pack for CEOs’. 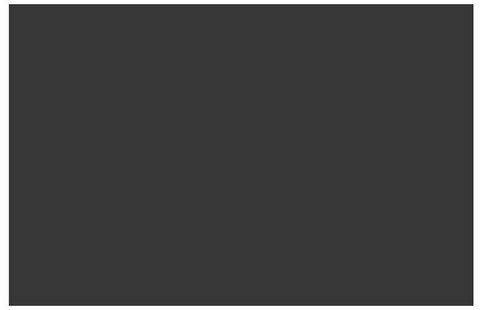 The pack has more than 750 fully editable diagram templates to address all the needs of a business presenter. 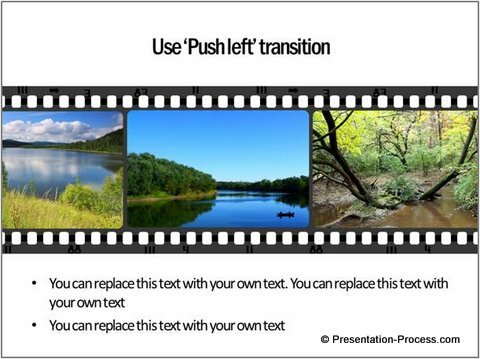 Now, creating professional presentations is easy. You just copy our diagrams to your slides and replace sample text. 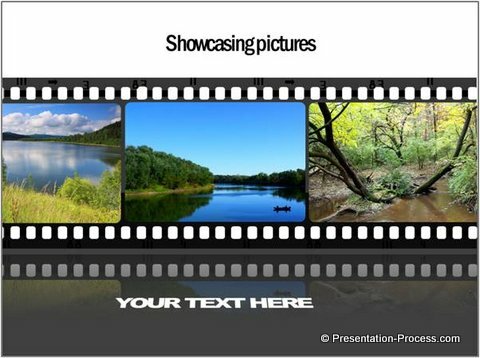 Your slide deck gets ready in minutes.